Theft Offenses | Reno, Nevada Criminal Defense Lawyer William J. Routsis II, Esq. Not only do theft offenses lead to harsh penalties, but a conviction may also jeopardize future employment opportunities. Understanding your legal options and retaining a hard-working attorney to represent you may be beneficial in defending against your charges, getting a favorable plea bargain, or mitigating the penalties. Reno residents who have been charged with theft can consult criminal defense lawyer William J. Routsis. He has helped individuals fight their charges for 25 years. Mr. Routsis is committed to learning the details of each case and devoting personalized time to each of his clients. In Nevada, larceny is defined as intentionally stealing, taking, and carrying away the property of another. For example, shoplifting is larceny that occurs in a retail store. If the value of the property is under $650, it is considered petty larceny, which is a misdemeanor charge. If the value of the property is $650 or greater, the charge is grand larceny, which is a felony offense. Penalties upon a conviction of petty larceny typically include restitution, and they may also include a maximum jail sentence of six months and up to $1,000 in fines. In addition to restitution, grand larceny could mean a longer prison sentence from 1-5 years and up to $10,000 in fines. However, in many cases, there are valid defenses that can be raised, including that the defendant lacked the requisite intent to steal the property, such as when he or she simply forgot to pay and walked out of the store. In other cases, the defendant may have already owned the property. There are also situations where the retailer simply made a false allegation or mistook an individual for someone else, which can be addressed with a solid defense strategy. Burglary is committed when a person enters a residence, building, airplane, boat, or other dwelling with the intent to commit larceny, assault, battery, or any other felony, or obtain money or property by false pretenses. A person need not actually steal anything to be charged with burglary. Merely entering a structure with the intent to commit a felony is sufficient. Nor does the Nevada statute require a “breaking” into the structure. Penalties for conviction of burglary may include a prison sentence of 1-10 years and up to a $10,000 fine, and these penalties may be increased if a weapon was used during commission of the burglary, or upon second or subsequent convictions. The prosecution, however, has the burden to prove each element of burglary beyond a reasonable doubt. Depending on the facts of your case, your lawyer might present evidence that there was no intent to commit a crime, or that your identity was mistaken, among other defenses. Robbery is the unlawful taking of personal property from the person of another by force, violence, or threat of injury to an individual, a family, or their property. Even if the property belongs to the defendant, forcefully taking the item back from someone’s person is sufficient to commit robbery. A conviction could mean a lengthy prison sentence of 2-15 years, with an additional prison sentence in cases of robbery with a deadly weapon. 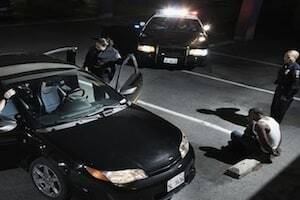 There are defenses to fighting a charge of robbery, however, such as the lack of force or threat, as well as incidents of mistaken identity or a false accusation. As in any criminal case, discussing the facts of your situation with a qualified attorney is a sensible way to determine your legal options after a theft charge. A knowledgeable criminal defense lawyer can help you reduce or avoid the consequences of a theft charge. With 25 years of experience defending people in the Reno area against prosecution for theft offenses as well as domestic violence, drug charges, and other crimes, attorney William J. Routsis has the resources and knowledge to represent you. He serves residents of many communities in California and Nevada, including Carson City, Elko, and South Lake Tahoe. To set up a free consultation, call (775) 337-2609 or contact us online.